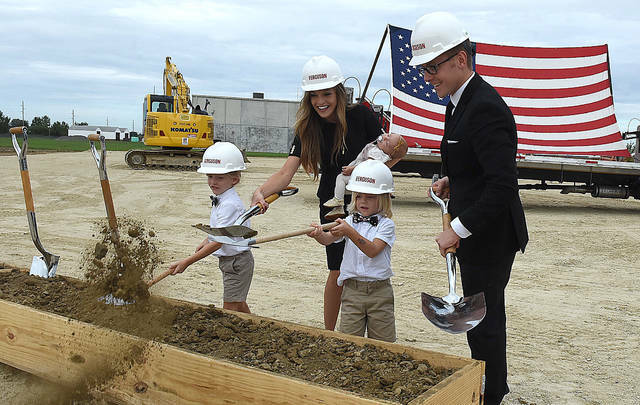 WAPAKONETA — On Monday, tapping and assembly arms manufacturer FlexArm Inc. officially broke ground for its new corporate office on 705 Commerce Drive in Wapakoneta, a project that will include 35 new jobs. The estimated cost for the new 55,000 square-foot facility is $4 million. The facility will include close to 12,000 square feet of office space and close to 40,000 square feet of manufacturing space. The project is expected to be completed by spring 2019. FlexArm Inc. is a global business that manufactures high-precision tapping machines, die grinders, torque reaction arms and custom lifting solutions. FlexDrill CNC is also a global business that manufactures the FlexDrill, a CNC machine designed for fabrication and machining shops that contain open beds that can be sized between 10-50 feet long. Once the new building is finished, FlexDrill CNC and FlexArm Inc. will move into the new facility and the original facility on 851 Industrial Drive will be used for storage and overflow shop space. The company is looking to hire 35 new employees for new skilled skilled machinists, programmers, office staff, assembly technician and CNC technician positions. Available positions can be viewed at www.flexarminc.com/now-hiring. 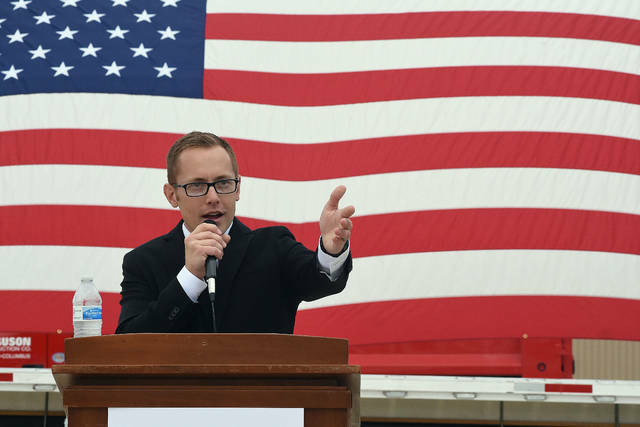 Current FlexArm Inc. President Nick Kennedy said he is excited for the new expansion and owes his success to the support of his family and his employees. 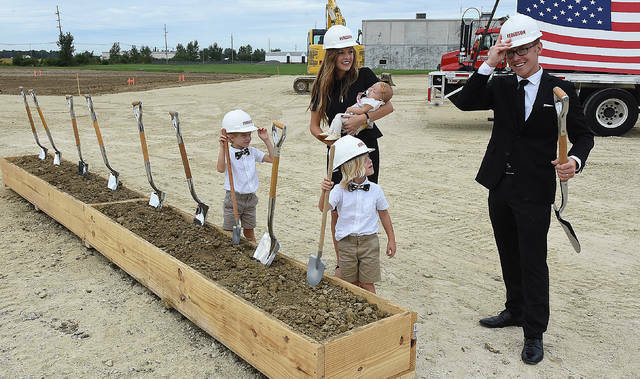 Congressman Jim Jordan (R-Urbana), who was present during the breaking ground ceremony commended Kennedy and his employees on its success. During the ceremony, Wapakoneta Mayor Tom Stinebaugh also praised the company on its success. “The company is the bread and butter of what makes Wapakoneta great,” said Stinebaugh.